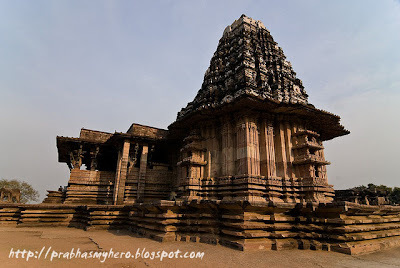 We have already seen about this location in the post on Mellaga Song from Varsham. 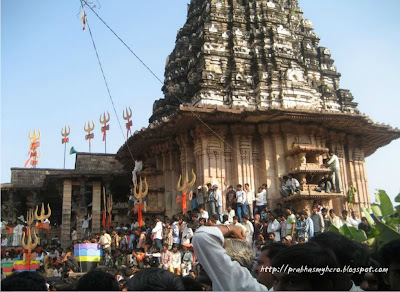 Dolu Baja song from Yogi has been shot entirely at the Ramappa Temple at Palampet in Warangal. 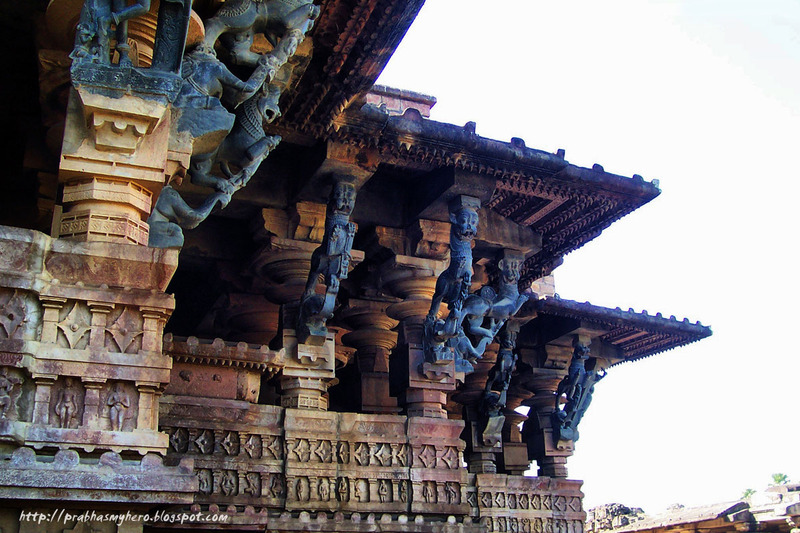 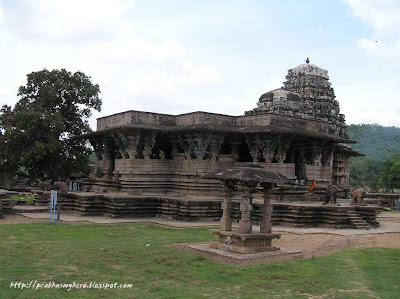 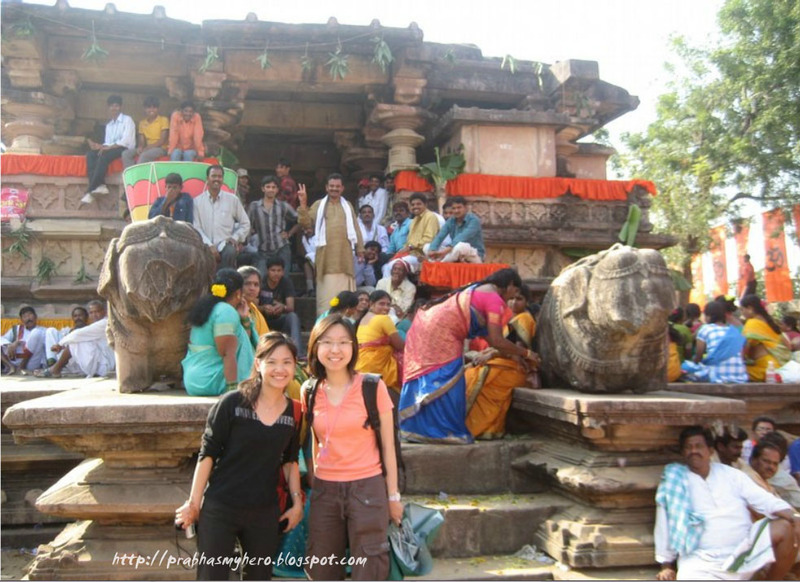 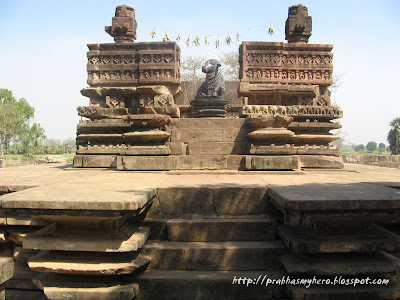 The Ramappa Temple is located at Palampet, about 77 kms from Warangal. 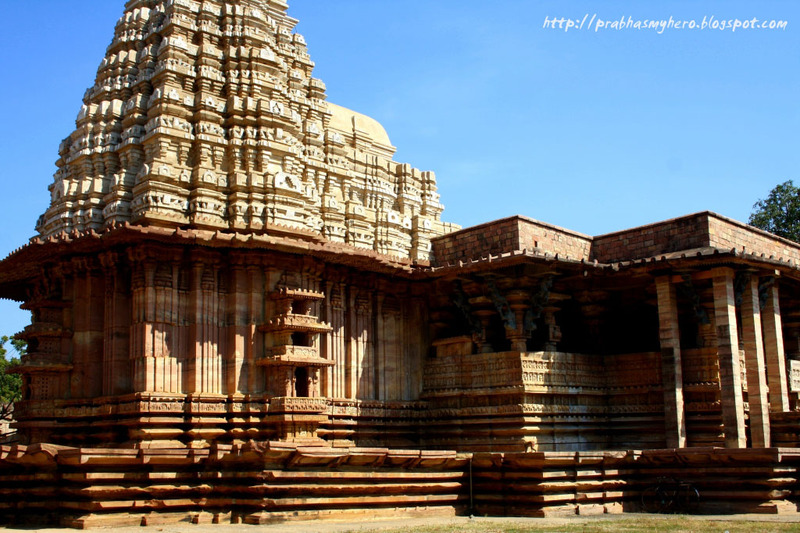 This temple was built during the year 1213 during the rule of the Kakatiyas and is said to have taken nearly 40 years to build the temple. 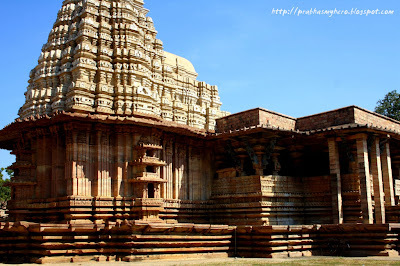 You can know more about this temple in this short and sweet video. Can you identify this spot in the song? This place, the damaged entrance of the Ramappa Temple also can be seen in Mellaga Song in Varsham. 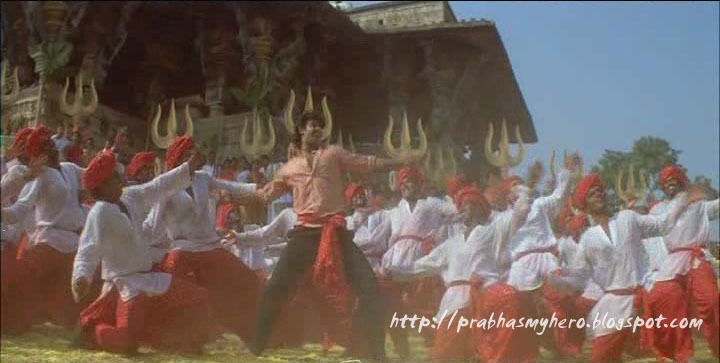 Remember the scene from the song where Prabhas strikes a pose in silk shirt and dhothi?Take a look at the below screenshot. 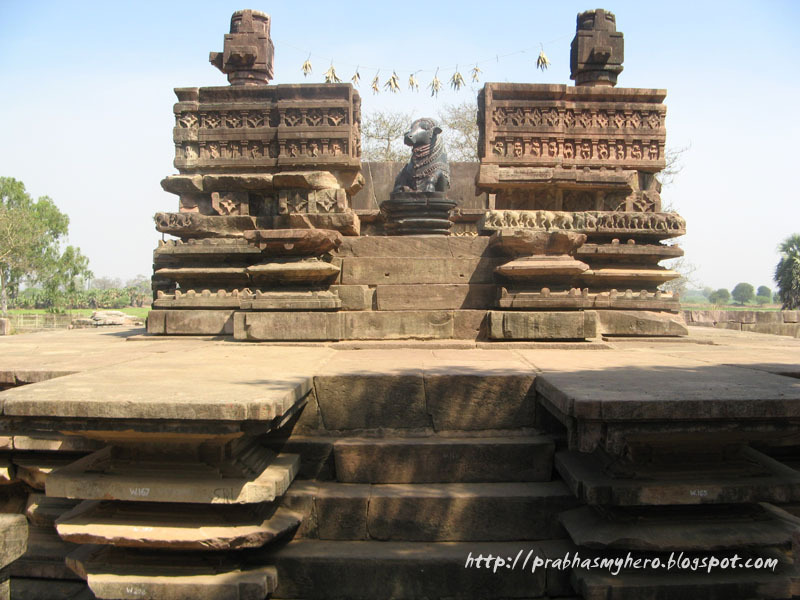 In the following shot you can see the Nandi Mantapa in front of the temple. I also have some special pictures for you. The Ramappa Temple during the shooting of Dolu Baja Song. I found it from the collection of a tourist (the two girls in the last pic).Prabhas is not seen, it's just the pictures of the temple. 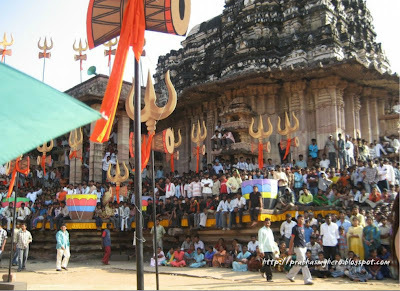 One more interesting news is that the Hexa Platinum Disk function of Yogi was also held at the Ramappa Temple on the night of 29th December, 2006.